The 21,000sf facility includes a fitness room for recreational strength-training and cardio-vascular conditioning. The second floor houses a multipurpose room for physical education, dance, and yoga classes, events, and large gatherings. 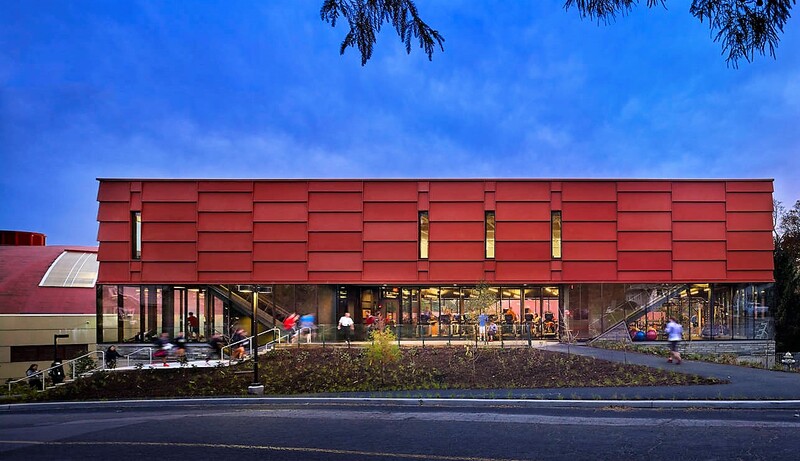 The Matchbox Facility reflects the College’s commitment not only to the wellness of the campus community, but to environmental sustainability. The project used a variety of construction methods to minimize environmental impact. 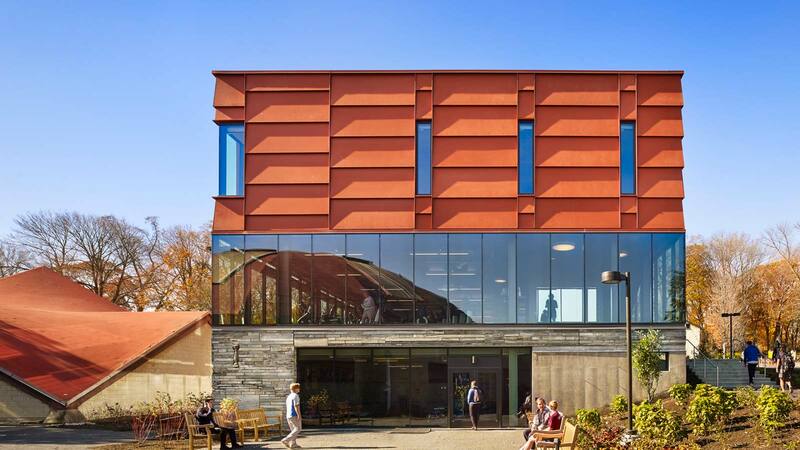 This included re-use of the existing building’s foundation and footprint, re-use and recycling of components of the existing building, and salvage and re-use of a forgotten stock of stone in a college storage yard and a Rainscreen system.